Ok, I need another cookbook like a hole in the head, but I had to buy Martha Stewart's new Pie and Tart book. 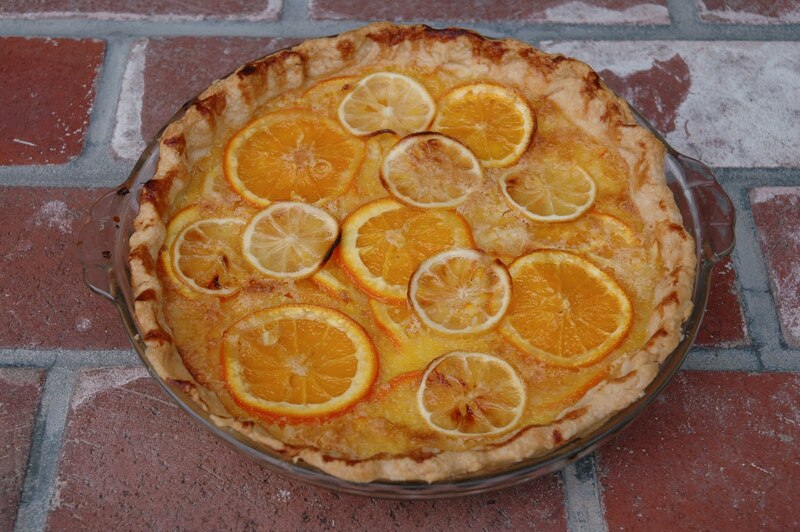 And since I recently tasted a Shaker lemon pie from Natalie at Bike Basket Pies, I really wanted to make one. Three cheers for Martha for putting the exact recipe from the book online here. 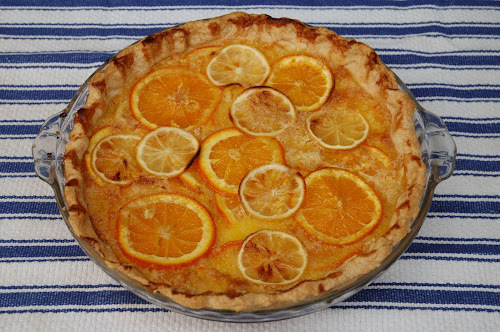 What makes this pie unusual is that it uses whole lemons and oranges- including the peel! They are thinly sliced and macerated with sugar overnight. This recipe only had a bottom crust with the gorgeous open top.The first time I made this I used a knife which made the slices too thick. The second time I used a mandoline but it kind of shredded my slices or made them so paper thin that they broke when tossed with sugar. This was fine for the interior but I wanted the intact ones for the top so I went back to the knife for those slices. Sadly, I wasted a few lemons and oranges figuring this out! 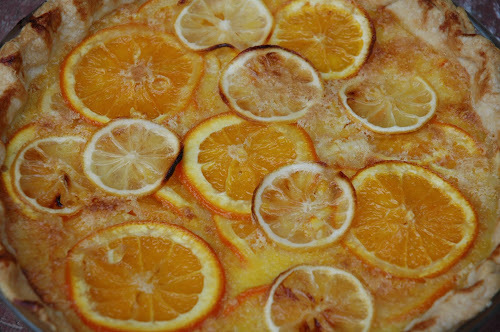 And the result was a beautiful pie with a custardy center that had terrific citrus flavor and unusual texture. Do you think this would work with limes?